On Tuesday, FBI Director James Comey announced that his investigation into Hillary Clinton has determined that Clinton should not be indicted over her use of a private email server during her tenure as Secretary of State. Attorney General Loretta Lynch has said that she will follow the recommendation of the FBI when officially deciding whether to indict Clinton. 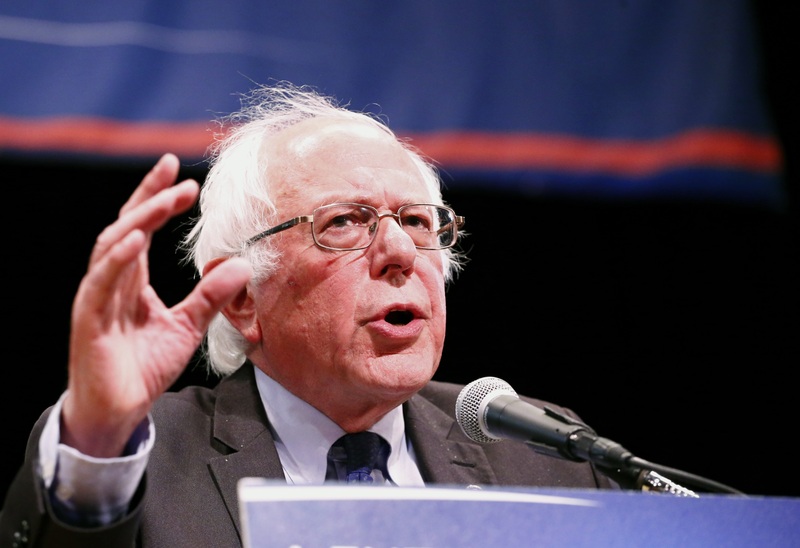 With an indictment looking very unlikely, some supporters of Sen. Bernie Sanders are losing one of their last remaining arguments for why he should win the nomination. But even if there is no indictment, Sanders will stay in the race, and this shows why he's really still running. A contingent of Sanders supporters have been arguing that Clinton should not be the Democratic nominee if she is under investigation, and particularly if she were to be indicted. This has been a lifeline for Sanders supporters who have held out hope that Sanders could somehow become the Democratic nominee, despite the results of the party primaries. Now, a Sanders spokesperson has said that the FBI's recommendation won't steer him off course. During the primaries, Sanders' campaign began arguing that, even if he lost, it might be better if superdelegates were to tip the nomination in his favor at the party's convention, claiming that he has a better chance of beating Donald Trump in November than Clinton. But that kind of rhetoric faded quickly in June, as Sanders shifted his focus to the Democratic Party platform. Sanders has been staying in the race to keep the pressure on Clinton and the platform committee to adopt more progressive positions. That's a goal he has a chance to fulfill regardless of whether Clinton's email case goes any further. Thus, the FBI's recommendations won't be changing his mind. And he's been partly successful. Though the drafting committee will debate once again before the convention, where the platform will be officially decided, the draft so far includes language to reverse Citizens United, break up big banks, abolish the death penalty, ban private prisons, and initiate automatic voter registration, among other important progressive positions. But Sanders' work isn't done. He wrote in an op-ed that the platform committee has still not adopted some of his central positions, including a $15 minimum wage and strong opposition to the Trans-Pacific Partnership. Sanders wants his delegates, both on the committee and at the convention, to remain strong in favor of a more progressive platform. And he wants Clinton's campaign to feel the pressure from his continued presence, as she works to appeal to Sanders supporters.